Restylane® is a clear gel formulation of hyaluronic acid that is specifically formulated to act like your body’s own naturally produced hyaluronic acid, helping to visibly correct moderate to severe facial wrinkles and folds, including the lines that run from your nose toward the corners of your mouth (nasolabial folds) and the lines that run from the corners of your mouth toward the chin (marionette lines). 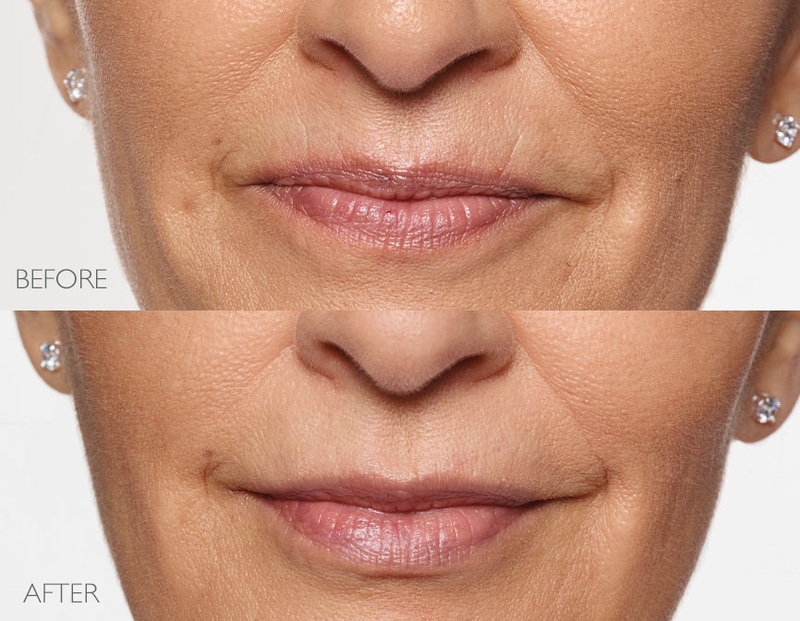 Restylane is a dermal filler used to add volume and fullness to the skin to correct moderate to severe facial wrinkles and folds, such as the lines from your nose to the corners of your mouth (nasolabial folds). Dermal fillers are facial injection treatments used to help diminish wrinkles while restoring volume and fullness in the face. There are several types of dermal fillers, one being hyaluronic acid. All Restylane products are transparent hyaluronic acids, which are sugars naturally found in the skin that help provide hydration, fullness and elasticity. With full treatment, you can see lasting results for up to 18 months with Restylane. In a clinical study treating the lines from the nose to the corners of the mouth (laugh lines), blinded evaluators reported that 95% of subjects improved for up to 18 months when they received an initial Restylane treatment, plus a follow-up treatment approximately 4.5 or 9 months later. Restylane products are approved only for patients over the age of 21. Treatment with a product from the Restylane® family typically takes less than one hour. (Individual treatment times may vary.) Generally, there is minimal downtime associated with treatment using the Restylane family of products. If you are interested in learning more about Restylane® or to schedule your consultation please fill out the form on this page or call East Cobb Rejuvenation at 770-771-6865.